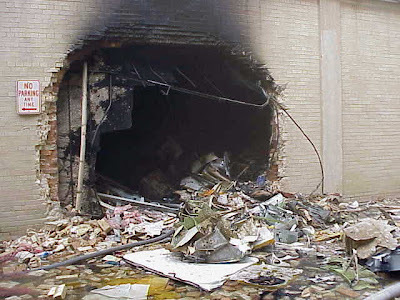 Here is a photo of the hole in the Pentagon after it was supposedly hit by a plane. Chuck is a 911 truth activist. He tells us his story of how he became an activist, what convinced him that 911 was an inside job and his unique and funny way of spreading the word. Chuck also talks about AIDS being a pharmaceutical fraud. I highly recommend that you see this documentary. It is filled with interviews with doctors and scientists, and there is a lot of basic common sense in it that really makes you reexamine what you have been lead to believe. This entry was posted in Uncategorized and tagged 911 truth on February 9, 2010 by Gypsy Taub. and we can set up an interview. I would be happy to interview you. Found U through a Google search of “Naked Truth.” Did U know that there are several famous, classic paintings of Truth naked? I wrote an essay about it. Thank you, Dreamer, thank you for your post. Hi, Zuma, thank you for your support for the show and thank you for expressing your opinion. As far as balancing the “911 – inside job” concept the official story got plenty of airtime, there is no need to give it any more. Government propaganda that airs the official story has been broadcast for millions of hours on every mass media outlet for the past 9 years, so there is no unfair advantage here, actually there is – the mass media has nad an unfair advantage all this time. How much 911 conspiracy stuff do you see on mainstream TV compared to the official version which is, by the way, also a conspiracy theory, they tell you that Osama Bin Laden conspired with Al-Qaueda, and the main difference between these 2 conspiracy theories is that the government one makes no sense. Tell me how did Osama or Al-Qaeda benefit from 911? It’s funny that when it comes to a 911 documentary that challenges the official story, so may people will attack every little detail of it saying that there is no 100% proof, that footage could have been photoshopped, facts falcified, science manipulated, yet when it comes to believing the official story – they swallowed it whole with the hook and line without doubting it for a second. Please answer me: “What concrete evidence did the US government give you in support of their story and how much sense does it make?” Their story falls apart instantly as soon as thought process is turned on. I think your show is great! That may have come off a little harsh and I apologize. I enjoy your show a lot and think it’s a wonderful concept. I think it would be nice to give the “other side” a chance to address some of these issues though. Allowing a skeptic to appear alonside and engage in a discussion with a 9/11 truther would be more balanced, and also would make for an interesting show, I’d think. Anyway, just a suggestion. Keep up the good work. This would be a much better show without all the conspiricy theorist stuff. If you’re going to air this kind of stuff, at least have someone on with the conspiricy theorist to challenge/debunk them. I agree with the 9/11 stuff being an inside job, but the moon landings were totally real. Mythbusters did an entire episode on this, busting all the claims made by hoax believers. You can watch the video on youtube by searching for mythbusters moon landing hoax. Also, here’s a good web page specifically answering a TV show aired by Fox network back in 2001.